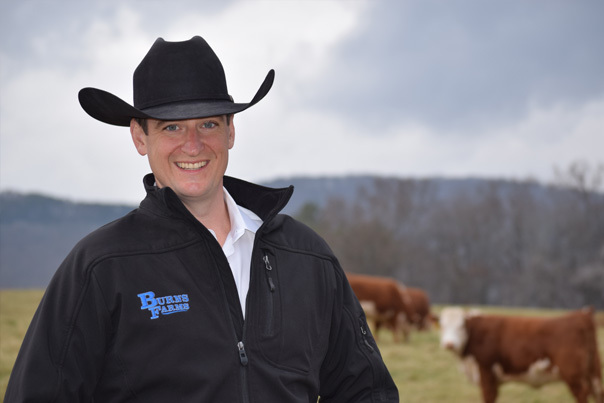 A vitamin and mineral supplement for beef cattle specifically designed for reproductive success when fed 60 days pre-calving through 60 days post-breeding. Especially beneficial in A.I. and E.T. breeding programs. Includes IGR (S-Methoprene) to prevent the breeding of horn flies in the manure of treated cattle. *Only available in the following states: AL, AR, CO, FL, GA, ID, IL, IN, IA, KS, KY, LA, MI, MN, MO, MS, MT, NE, NC, ND, OH, OK, PA, SC, SD, TN, TX, UT, VA, WI and WY. Provides 5% phosphorus, the ideal level of phosphorus for use with average to good quality forages, to promote milk production and higher calf weaning weights. Also contains IGR to prevent the breeding of horn flies in the manure of treated cattle when fed 30 days prior to calving through breeding. Corn Gluten Feed, Monocalcium Phosphate, Dicalcium Phosphate, Calcium Carbonate, Salt, Magnesium Oxide, Zinc Sulfate, Manganese Sulfate, Copper Sulfate, Sodium Selenite, Ethylenediamine Dihydroiodide, Cobalt Carbonate, Potassium Chloride, Dried Aspergillus oryzae Fermentation Product, Mineral Oil, Zinc Proteinate, Manganese Proteinate, Copper Proteinate, Vitamin E Supplement, Vitamin A Supplement, Vitamin D-3 Supplement, Natural and Artificial Flavor, Niacin Supplement, d-Calcium Pantothenate, Riboflavin, Vitamin B-12 Supplement, Thiamine Mononitrate, Ethoxyquin. Feed this product to cattle only. When used as directed, this product will provide sufficient S-methoprene insect growth regulator to prevent the emergence of adult horn flies from manure of treated cattle. Existing adult horn flies will not be affected. Start feeding before horn flies appear and continue use until cold weather marks the end of the horn fly season. Allow free choice to cattle. Cattle should consume an average of 0.4 ounces of this product per 100 lbs. of cattle body weight per day, which is equivalent to 4 ounces per day for a 1,000 pound cow. 1. Assure cattle are not starved for nutrients in VitaFerm Concept•Aid 5/S IGR by providing them prior to feeding VitaFerm Concept•Aid 5/S IGR. 2. This product contains added copper. Do not feed to cattle in close proximity to sheep or other species that have a low tolerance to supplemental copper. 3. Offer cattle 50 lbs. of VitaFerm Concept•Aid 5/S IGR for every 15 head of cattle. 4. Remove all other self limiting nutritional supplements while the cattle are consuming this product. 5. 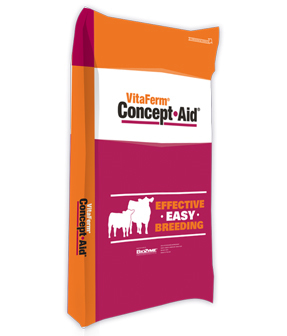 Locate VitaFerm Concept•Aid 5/S IGR where cattle congregate (watering, loafing, shade areas). 6. Replenish VitaFerm Concept•Aid 5/S IGR on a regular basis as needed. 7. If intake of VitaFerm Concept•Aid 5/S IGR is below 0.4 ounces per 100 lbs. cattle body weight per day, increase the number of feeding locations and/or change location(s) to areas more frequented by cattle. 8. If intake of VitaFerm Concept•Aid 5/S IGR is above 0.4 ounces per 100 lbs. cattle body weight per day, reduce the number of feeding locations and/or change locations(s) to areas less frequented by cattle. 9. Introduction of this product after adult horn fly infestation is established will require treatment of cattle with adulticides if elimination of adult fly population is desired.